DogE911 is comprised of professionals that share a common love of animals. We would like to introduce each of them to you below. Antoinette comes to us with an extensive marketing & sales background. She has held key marketing positions for such firms as FedEx, MCI, & Charter Communications. Antoinette is an alumnus from the University of Tennessee with a degree in Journalism. She is also a retired Captain of the United States Air Force, & held the position of President of the Georgia ASCPA. Antoinette currently resides on a farm in North Carolina with her husband, 18 dogs, 6 horses, & a cat. her husband & 2 dogs. 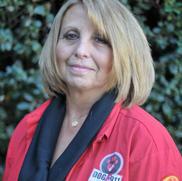 Lavonne has been appointed our new Jr Vet Program Director. She began with DogE911 in October 2013 when she was 14 years-old. 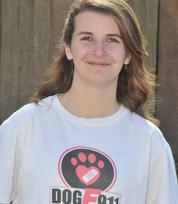 She is a high-energy youth that loves animals & aspires to be a Veterinarian. She is an avid reader, participates in high school theatre productions, is part of a reenactment group, & takes part in FFA Agricultural courses. She also enjoys pet sitting, & is a volunteer at Woods Humane Society. Lavonne is looking forward to helping mentor other youth in the program. She currently lives in Central CA with her Mom, as well as her dog & cat. an Associates Degree from Cuesta College. He also shoots landscape photos which are displayed at local shops & art shows. All DogE911 photos are courtesy of 'Photography by Jeff Bowen'. He resides in California with his wife, the Founder of DogE911, & shares their four Dachshunds. * Please see Photos page for more information! they have been assisting us for years. DogE911 is currently training new instructors / representatives in multiple states to become regional directors & help spread our program to more youth, pet owners, animal professionals, & first responders. These instructors will be trained under Genete & will take our mission of assisting animals to the next level.